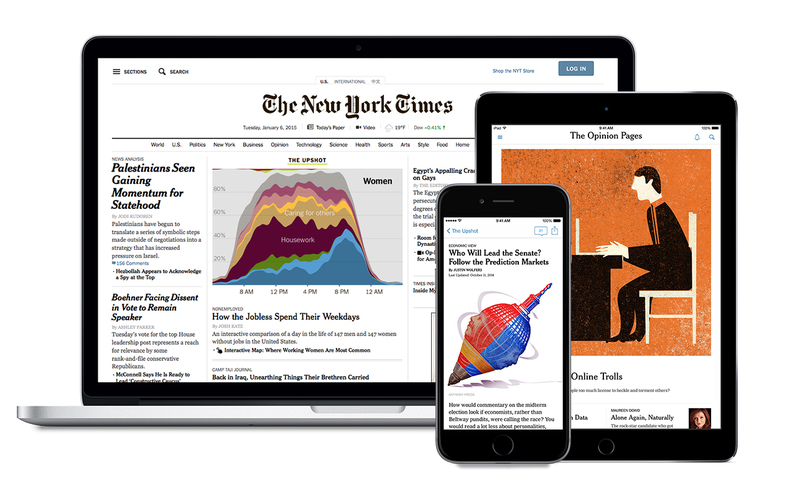 Lane Library is excited to announce the access to the New York Times Digital Editions to all students, faculty and staff via the Academic Campus Pass. This Academic Pass provides access both on-campus and off-campus to the digital content of the New York Times. This includes all news, archives, and special educational content, with a few limitations (explained below). Each user must activate an individual pass by creating a unique account with the New York Times using your Ripon.edu email account. In order to activate this pass, go to NYTimes.com/pass and follow the instructions. Once you have activated this pass, you can use this new account to login to the New York Times website from anywhere. Below are a few FAQ. Please contact a librarian if you have additional questions. Where do I register? You need to register through the Academic Pass at NYTimes.com/pass. Can I access the NY Times from off-campus? Yes, as long as you have previously activated your NYTimes.com Academic Pass using your Ripon.edu email as your username through the NYTimes.com/pass website. Can I access the NY Times from my mobile device? Academic Passes provide access to NY Times mobile apps; visit nytimes.com/mobile to download. Academic Pass holders can also access NYTimes.com on any device (computer, smartphone, or tablet) with a browser. Academic Pass does not include e-reader editions, Premium Crosswords, or the NY Times Crosswords Apps. Also, Apps are not supported on all devices. How long does the pass last? The pass is good for one year. When you first register, NYTimes displays the date that your pass will expire and even offers to add a reminder to your calendar for you to renew within a year of your initial registration. How far back does access in the archives of the Academic Pass go? You will have access from the first edition in 1851 to today. Are there any restrictions of archival access? Yes, from 1923 to 1980, you may access only five articles per day. How do I get to the archives? You have a few options. You can use the regular search function, which returns results from current issues as well as archives. You can search the archive independently through Article Archive: 1851-Present. Or you can browse the paper as it was printed through the NYTimesMachine.